Amira is one in a million. Completely worth it. Where do I start to describe how very wonderful it was to have Amira plan our wedding?! I can honestly say that the best part of our wedding was meeting Amira and having her become our sounding board, planner, manager, psychologist (! ), guardian angel and friend. From the minute we met I knew we were in good hands and that everything would be smooth sailing. Amira is so genuine, warm, down to earth and calm that you can't help but wish she could stay in your life to plan it once the wedding is over! We have lost count of how many people have said it was the most awesome wedding they have been to...and this wasn't because it was the most expensive or even the most over the top. It was because Amira ensured we were so calm that we could genuinely enjoy the whole experience rather than worrying about the details. Amira knows the business inside out and isn't someone who will try to push in a direction that won't suit you. I always thought hiring a wedding planner was an extravagance which I couldn't justify. I also had a hard time finding someone who 'got it'. I met with several well known wedding planners but never felt they were listening to me. Amira was the first person who sat and listened and truly understood what we needed to have a great day. 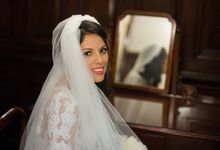 I can now say with total confidence that I would hire Amira ten times over as she is able to provide something nobody else can- total peace of mind and a stress free wedding. Amira is a one in a million and plans the wedding as though it is her own. What more could a bride want? Amira, thank you so very much for giving us the day of our dreams. With love and thanks to Amira - our super woman! Amira is a live saver! 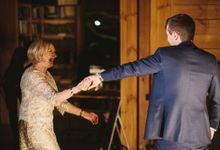 Having a very busy full time lifestyle and planning a wedding can be quite stressful for a lot of people, and we came to a point where a) there weren't enough hours in the day, and b) we weren't enjoying the process, which is a shame! In steps Amira, who was thorough and professional from the outset and made everything feel controlled and easy! In context of the wedding as a whole, having Amira help us with planning and coordination on the day itself was the best thing we did. Ended up with a perfect wedding, a relaxed family & bridal party, and fabulous memories. Would recommend Amira to anyone! Beautiful Bobbie, You are ever gracious and generous. I felt so privileged to have been invited to share your and Jason's special day with you and your families and friends. Every second working with you was an absolute pleasure. The perfect wedding for the perfect couple! May you always be happy, healthy, and in love. Sending you and Jason all my love and appreciation. 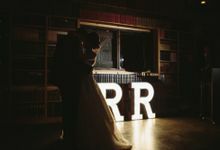 Ideally our couples should contact us 6 to 12 months out from their big day. 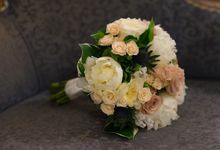 We are though very experienced in planning weddings with only 2 months preparation time. 8 to 12 hours depending on our couples requirements and budget. Our couples are everything to us. We feel truly privileged to share this special time with you. We will invest the time to listen and understand what's important to you. There are no limits to the number of meetings you may have with us or restrictions on when or how you can contact us. Working with you every step of the way, we will piece together all the individual ideas and elements to create your own unique theme and concept that will reflect your personalities and desires. 50% Deposit to secure your date. The balance may be paid in monthly installments. 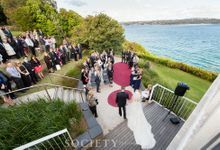 Imagine walking down the aisle totally relaxed, knowing that your dream wedding is unfolding to plan and on budget. 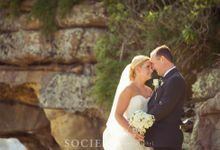 For Thy Sweet Love will plan, create and deliver your exquisite wedding day just as you imagined it. And not only can we do it with a fraction of the stress of doing it alone, our industry contacts and negotiating skills mean great savings that we pass on to you. We’d love to work with you to take care of all the details.